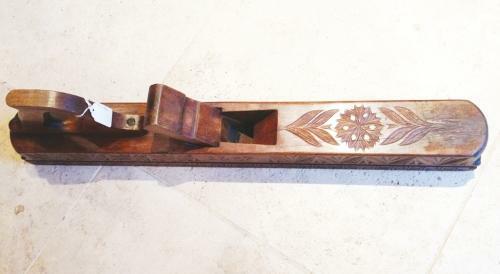 Antique Jack Plane with hand carved decoration on most sides. floral decoration, initials GB and dated 1889. Good present for a man!